All classes are taught by black belts and experienced instructors. Learn how to reduce the risk of assault and to become aware of your surroundings. Various physical activities and defense techniques will be taught. 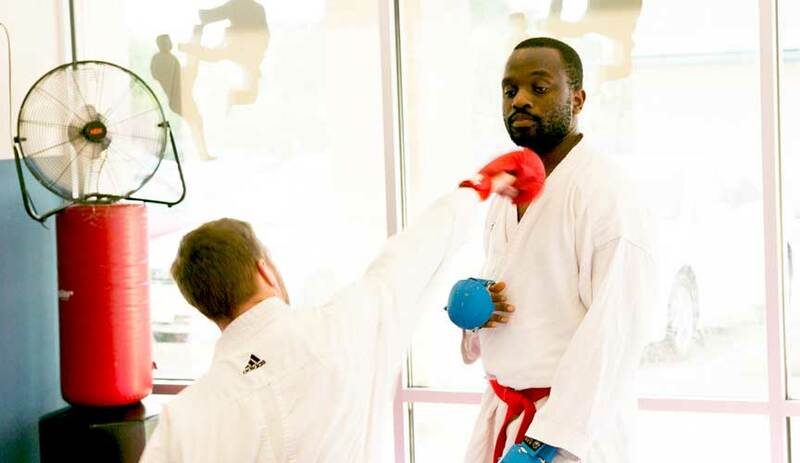 Sensei Alex Ndem will provide one-on-one personal training and help to create fitness goals that include weight loss, toning up and building muscle, increasing Strength and Flexibility plus increasing balance and coordination. Alex also provides one-on-one karate training, teaching defense and attack skills. Home visits are available for individual or family training.